In Shakespeare's day, you only went to the South Bank of the river Thames to do things that were prohibited by law in London north of the river. Over time, this area became a mixture of working class residences and industrial buildings, still distinctly unfashionable. Now, however, all that has changed. The area from Westminster Bridge to Tower Bridge is crowded with one tourist attraction after another. Furthermore, on a sunny day, it is a pleasure to walk along the river. The Queen's Walk (also known as the South Bank Walk) is a promenade that runs along the Thames. Completed in the 1990s, it was begun as part of the Silver Jubilee Celebrations in 1977 and its route is marked by Jubilee Walk plaques. It takes you through park-like areas, under office buildings and past several bridges. Along the way, you will find pubs, restaurants, book stalls and street performers. It offers great views of the river and the city-scape on the north bank. The walk described in this article encompasses the South Bank between Westminster Bridge and Tower Bridge. While the walk goes from west to east, it can also be done in the reverse direction. At either end of the walk on the north bank, are underground stations (Westminster and Tower Hill) as well as tour boat piers in case you do not want to walk back. We began our walk at Westminster Bridge, a wide combination vehicle and pedestrian span. At the northern end of this bridge is the clock tower that houses Big Ben and the Houses of Parliament and as you walk across you get a classic view of those landmarks. Turning left at the southern end of Westminster Bridge, there is a massive early 20th century building, the London County Hall. Until 1986, it was the seat of the local government in London. Today, it is in private hands and houses hotels, restaurants and tourist attractions including the London Sea Life Aquarium and the London Dungeon. While the County Hall is large and impressive, it is literally and figuratively overshadowed by the London Eye. This giant Ferris wheel was officially opened on 31 December 1999 in time for the Millennium celebrations. It towers some 443 feet (135 meters) and affords panoramic views over London and its surrounding communities. Until the opening of an observation deck on the 72nd story of the Shard skyscraper, the London Eye had the highest public view in London. 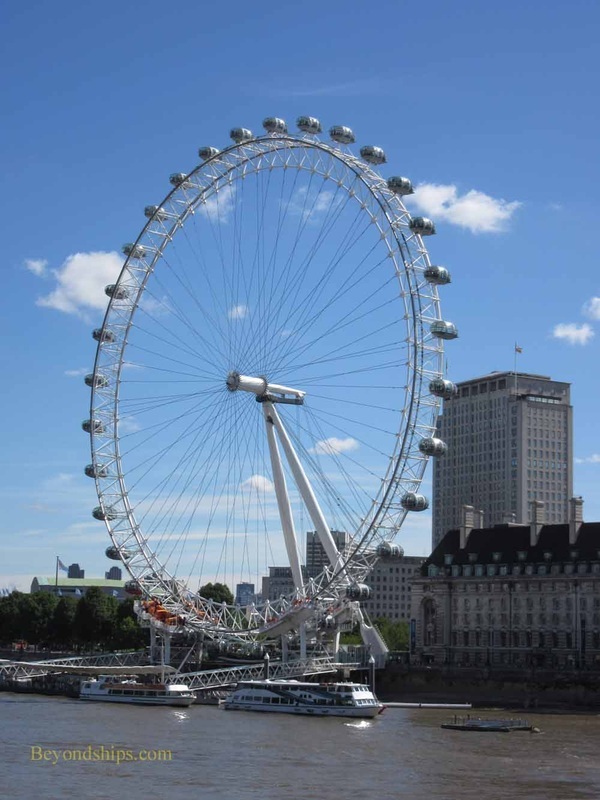 The design of the London Eye resembles a giant bicycle wheel with steel cables running from the axle to the rim. Along the rim are 32 enclosed capsules, each capable of carrying 25 people who can either sit or walk around inside the capsule. The wheel turns very slowly. As a result, it takes about a half hour for a capsule to make a full rotation. Except for the elderly and disabled, passengers enter and exit while the capsule is in motion. For more information, see the London Eye website. Walking eastward, the next set of landmarks that you come to focus on the performing arts. In 1951, the British government held the Festival of Britain to demonstrate the country's recovery from World War II. As part of this project, a new concert hall was erected on the South Bank. A glass and concrete modernist structure, the Royal Festival Hall, stood out from the soot-blackened buildings surrounding it. Over the years, the building has been modified, the surrounding buildings cleaned or demolished and the public eye has become more use to this style of structure so the Hall is not as unusual as it once was. Nonetheless, it is one of the few post-war buildings that is Grade I listed (exceptional interest) on Britain's Statutory List of Buildings of Special Architectural or Historical Interest. 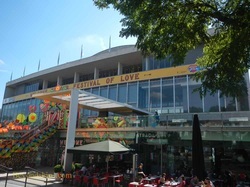 The Royal Festival Hall is now part of the Southbank Centre. 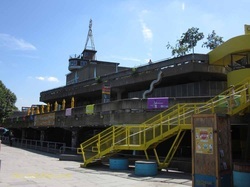 Its other major buildings include the Queen Elizabeth Hall/Purcell Room (QEH) and the Hayward Gallery. The QEH, built in 1967, houses two concert auditoriums that are smaller than the Royal Festival Hall. The Hayward (1968) presents exhibits of modern and contemporary visual art. 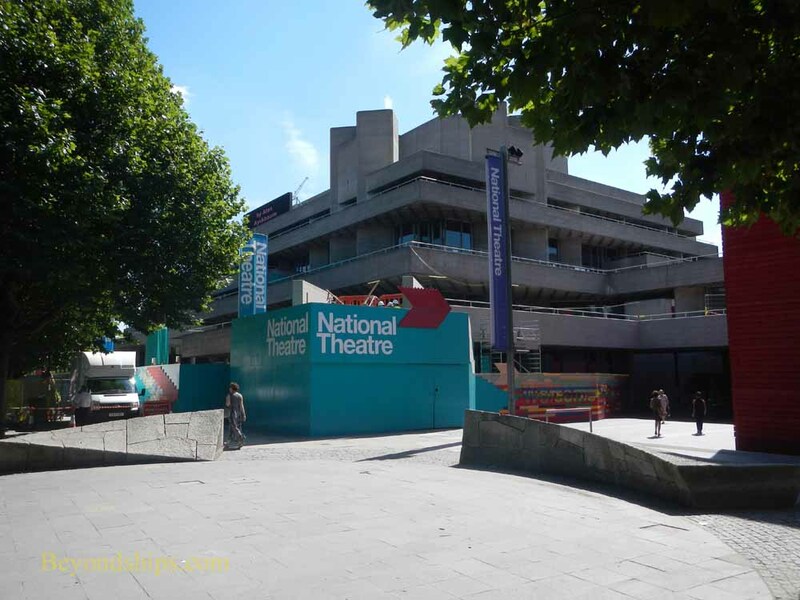 Next to the Southbank Centre is the National Theatre. A registered charity, the Royal National Theatre produces a mix of new plays and classics often tapping the talents of some of the most noted personalities in British theater. Sir Laurence Olivier was its first artistic director. The building has been controversial. Its austere concrete slab construction caused Prince Charles to quip that it looked like a “nuclear power station.” Inside are three theaters as well as rehearsal space and workshops for making scenery and the like. In addition to putting on performances, the National Theatre gives talks, holds exhibitions and offers backstage tours. For more information, see the Southbank Centre website and the National Theatre website).